Originally from Southern California, Robert Kondo graduated from the Art Center College of Design in Pasadena and has worked at Oblique Strategies and Angel Studios. Robert's film credits include Sets Art Director for Ratatouille, Toy Story 3, and most recently Monsters University. 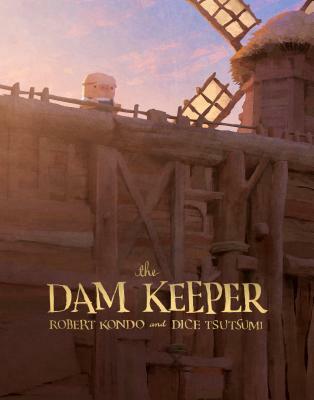 He is the co-director (along with Dice Tsutsumi) of the award-winning animated film The Dam Keeper. Dice Tsutsumi, originally from Japan, is a celebrated illustrator, painter, and philanthropist. Dice's paintings have exhibited around the world, and in 2009, his first children's book I Can Hear was published in Japan. A graduate from The School of Visual Arts in New York, Dice has worked as a visual development/color key artist at Blue Sky Studios on Ice Age, Robots and Horton Hears a Who! His credits at Pixar Animation include Lighting Art Director forToy Story 3 and Monsters University. Dice is passionate about charity work and spearheaded both The Totoro Forest Project and Sketchtravel. He is the co-director (along with Robert Kondo) of the award-wining animated filmThe Dam Keeper. With a startling sincerity and an almost alchemical use of light , The Dam Keeper manages to believably place very cute animals in an incredibly dark and complex world. I've never seen anything quite like it before."